Alaska is a place of extremes. There are some of the most beautiful vistas you’ll ever see there, but all that beauty is accompanied by harsh, unforgiving weather that takes no prisoners. It’s definitely not a place for the faint of heart. The intense Alaskan winters attract a specific type of person – you need to be rugged and tough to make it out here. And there is one town that has it extremely tough, even by Alaskan standards. 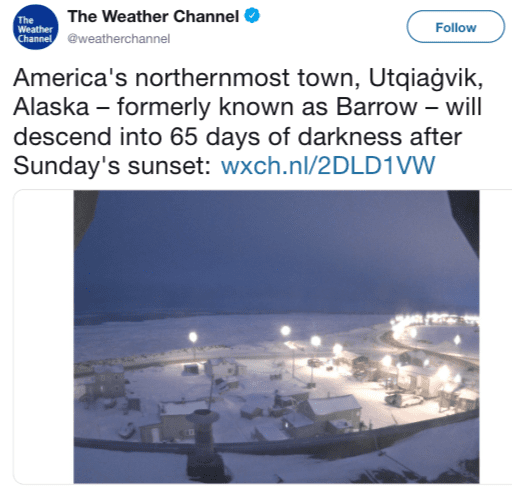 The town of Utqiaġvik (formerly called Barrow) was plunged into darkness on November 18, and the sun won’t rise again there until January 23. 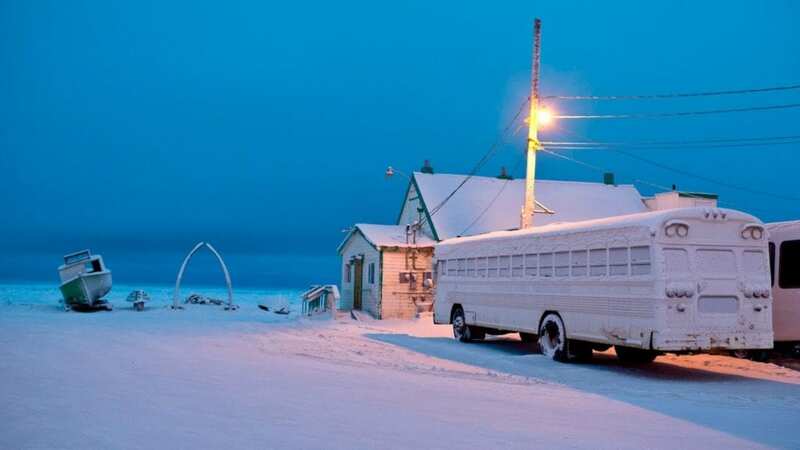 That’s 65 days without sunlight for the northernmost town in America. The period of constant darkness is known as “polar night.” Weather.com describes the phenomenon like this: “From mid-November through late January, the sun doesn’t rise north of the Arctic Circle due to the tilt of the Earth away from the sun’s most direct radiation.” Utqiaġvik is north of the Arctic Circle and has a population of just over 4,000 residents. Let’s just hope we don’t have some kind of 30 Days of Night situation. 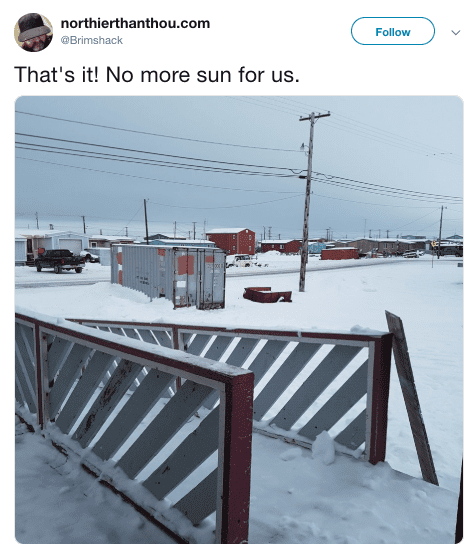 Think you’d be able to hack it in Utqiaġvik?